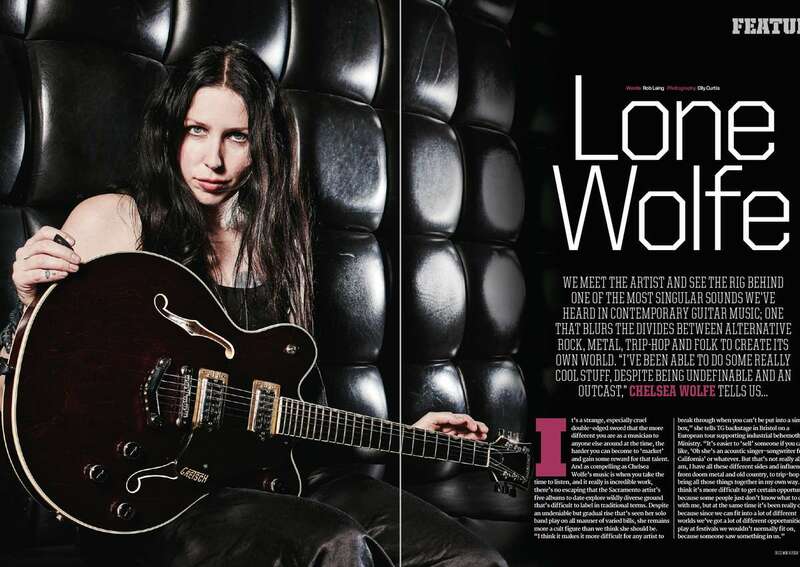 Chelsea Wolfe’s unorthodox talent fuses multiple styles from neofolk to trip-hop and doom metal to create as Total Guitar magazine says “one of the most singular sounds we’ve heard in contemporary guitar music. 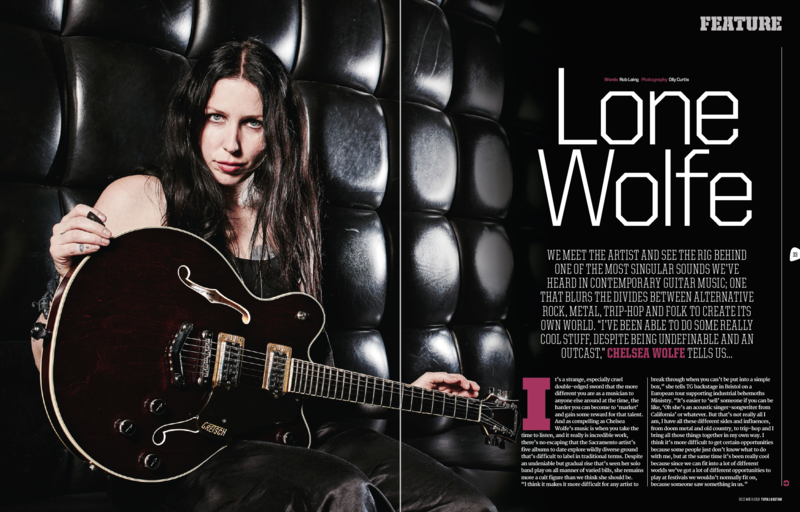 The magazine’s December issue includes a terrific feature on the “lone wolfe” artist, including a touring rig breakdown and insightful Q&A that covers her musical tastes and influences, as well as the creative process for sixth studio album Hiss Spun, which as TG notes has more of a “band-in-a-room dynamic” - an intentional move on the part of Wolfe. 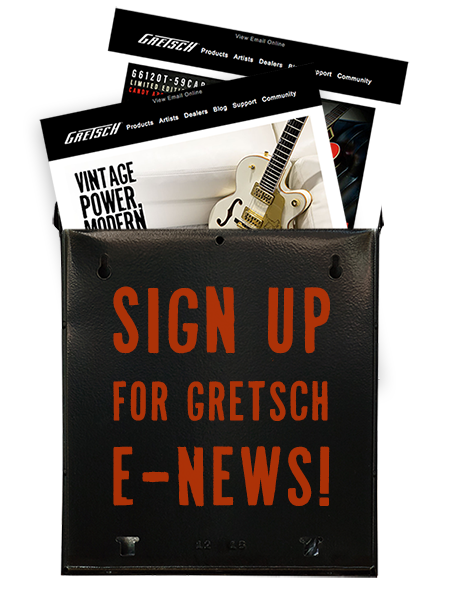 In terms of gear, Wolfe can be seen in the piece front and center with her Gretsch G6609 Players Edition Broadkaster, a newer addition to her touring arsenal and one that fit perfectly given the darker direction she wanted to go in with Hiss Spun.